Gather a group and join this annual celebration with terrific music benefiting a transformative center! 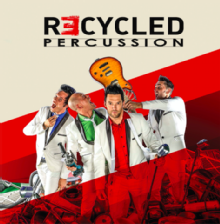 Join us as we celebrate Cassie's 33rd birthday and the 5th birthday of the Center with an interactive, energetic performance from Recycled Percussion. 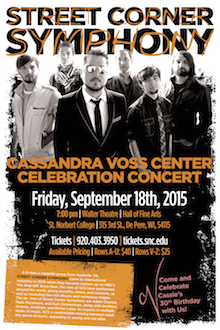 Purchase tickets at the St. Norbert box office. 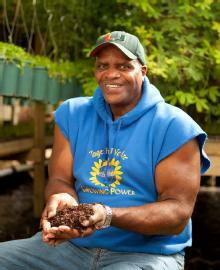 FARMER, GENIUS AND BALLER - all traits of the MacArthur "genius grant" winner, professional basketball player, author and founder of Growing Power, one of the country's preeminent urban, non-profit farms in Milwaukee, WI. Will Allen shares his agricultural journey, his knowledge for cultivating good food for all populations, and his food justice philosophy. Learning from his sharecropping and farming roots, Allen transformed the production and delivery of healthy foods to underserved populations. 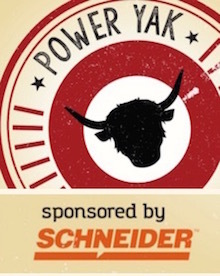 Professor Katie Ries, Smokey Bear, Prizes and More! Part 1: Public Talk @ 11 a.m.
Prof. of Art Katie Ries presents on innovative Land Scouts Program with a special guest. Part 2: Smokey Bear @ 2 p.m.
Smokey's first time at SNC, the official Smokey Bear that is! Learn how you can protect your land, cultivate nature and prevent wildfires. Join in hands-on making of environmental screen-prints. Everyone gets to take home a beautiful print! 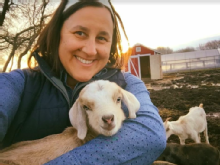 Join our Farmer in Residence, Sarah Valentine, for an interactive tour of the De Pere Farmer's Market as we explore who the farmers are, why it is important to support local farmers, shopping local and more! We will meet in the Cassandra Voss Center first and then walk over to the Market together. 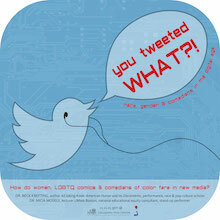 The event will be done just in time to catch the Killeen Lecture with Carol Bruess, Ph.D at 7 p.m. in Walter Theater. CVC Master Chef: Food Ethics Edition feat. Ben Chan, P.h.D. and Joel Mann Ph.D.
From coast to coast, thousands and thousands of talented amateur cooks lined up to take the most intense culinary competition on earth but we have the top chefs right here at SNC! This live food demo will showcase cooking techniques and methods for decolonizing your diet while also exploring ideas about ethical food consumption. RSVP here. Facilitated by our Farmer in Residence Sarah Valentine, we join a few local, small-scale farmers as they describe and discuss what is grown in the area community gardens and share their knowledge of gardening and small-scale farming as it relates to their personal cultural histories. 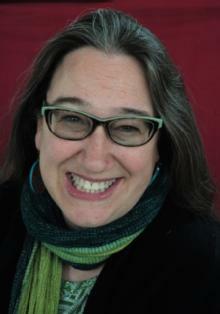 Heid Erdrich, Ph.D. is a poet, writer, and filmmaker. Heid is an Augsburg College Low-residency MFA faculty mentor and author of five books of poetry, including Original Local: Indigenous Foods, Stories, and Recipes from the Upper Midwest. 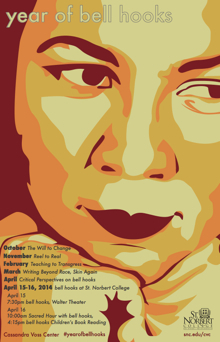 The CVC, in partnership with UW-Green Bay, hosts Erdrich for discussion centered around stories of native food using home-tested recipes alongside stories from food researchers, tribal activists, families, and chefs. Get your golden spoons ready! 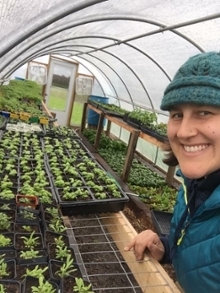 Join SNC Farmer in Residence Sarah Valentine for tips and tricks to eat healthily in the frozen tundra. A year-long invitation to examine what story we want to tell with our lives. How do our identities influence how we interpret stories? To whose stories do we listen, and whose do we ignore or silence? And how does listening affect us, challenge us, and cause us to reinterpret our own stories? How can we spin new stories together? Freezy pops. Comfy chairs. Cool people. Chill. A Week of Welcome signature program. A day full of stories–reading, telling, sharing and connecting. A family-friendly open house on campus that had DIY books, bookmarks and more during the entire day. SNC students read aloud books about difference and diversity, connection and friendship. The nationally-recognized org visited campus to share their history and mission, as well as presented their year-long storytelling collaboration with the Cassandra Voss Center. A wonderful annual celebration with terrific music benefiting a transformative center. "My art is historically based and politically charged, with the goal of creating dialogue about contemporary issues. I try to visually examine the versions of "American" history that have been overlooked, whitewashed, or flat-out deleted." Artist, air force veteran, and Alburquerquean Eric Garcia, MFA, is a multi-faceted and award-winning artist who uses posters, political cartoons and public murals to educate and challenge spectators. 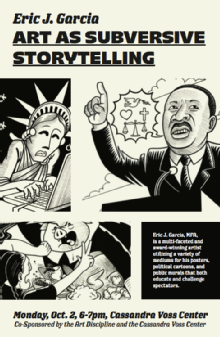 Garcia discussed the power of storytelling through art during his visit to campus. Students gathered over a family-style dinner to learn about and engage in authentic dialogue. 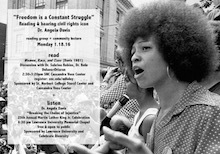 The dinner provided tools for deep listening, asking open and honest questions and other cooperative dialogue methods. The event was part of the CVC Olive Branch Initiative, aimed at bridging divides and promoting genuine dialogue. 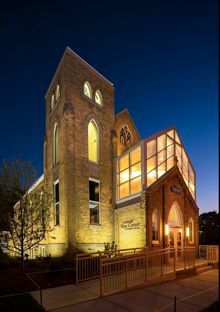 Bringing together members of the St. Norbert College and Green Bay community, this Skyped event engaged participants in conversation about LGBTQ persons and the Catholic church in order to foster a community of understanding and empathy. Co-sponsored with Titletown Publishing. 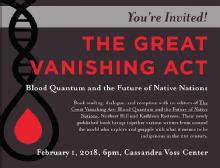 Book Reception: The Great Vanishing Act: Blood Quantum and the Future of Native Nations. 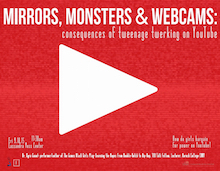 A book reading, dialogue and reception with co-editors Norbert Hill and Kathleen Ratteree. Their newly published book brings together various writers from around the world who explore and grapple with what it means to be indigenous in the 21st century. Discussion of the book, Reclaiming Conversation: The Power of Talk In a Digital Age, written by digital-culture scholar and MIT professor, Sherry Turkle. This event focused on thinking about how to reclaim authentic conversation, relationship, empathy and productivity in the age of technology. 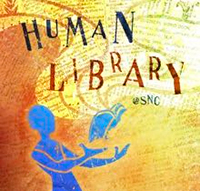 Community members from around the Greater Green Bay area shared their stories from the margins as “human books.” Readers listened to human books and engaged in transformative conversations. M. Shawn Copeland, Ph.D., is Professor of Systematic Theology in the Department of Theology at Boston College. 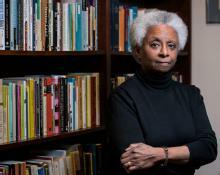 Copeland is recognized as one of the most important influences in North America in drawing attention to issues related to the religious, cultural and social experience of African American Catholics. Copeland focused on three questions related to our theme of Spinning Stories: What is your vocational story as a Catholic, womanist theologian? 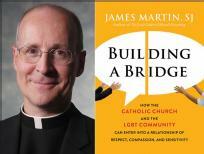 What are the stories that have most profoundly shaped your identity and vocation? And, whose stories do you think we must listen to today in order to do theology – and be church – in a compelling and authentic way? 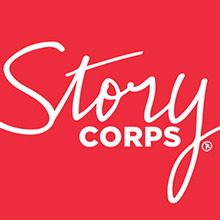 An immersive, community showcase where community members reflected on their experiences recording stories and those gathered listened to selected StoryCorps interviews – highlighting those related to identity, underrepresented voices and overlooked experiences. Joan Chittister, O.S.B., told stories alongside St. Norbert College alum, Breanna Mekuly '12. Sr. Joan shared her vocational story as a Benedictine nun, spiritual writer and prophetic peacemaker. She also reflected on whose stories need to be heard in order to live out gospels with authenticity. Masculinity is trending. Think fathering, athletic risk, incarceration, gendered violence, evolving norms - all on our minds, among our families, in the news. What’s next? We need public dialogue guided by experts to create a just community, together. 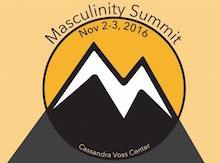 Yearlong programs highlighted Masculinity Studies: examining questions related to men, masculinity and identity. An annual celebration with terrific music that benefits a transformative center. 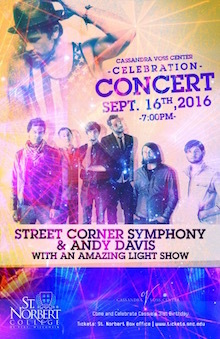 Featured Andy Davis & Street Corner Symphony. 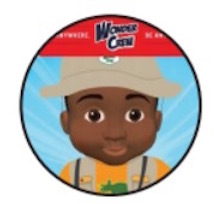 Exclusive Midwest toy launch: Wonder Crew, targeted to boys with the adventure of an action figure + emotional connection of a stuffed animal. Dr. Harry Brod was the first ever Distinguished Visiting Scholar for a semester at St. Norbert. A Masculinity Studies founding figure and author/editor of eight books, Brod taught the College’s first ever Masculinities courses and study groups as well as gave talks on violence, anti-racism, & Judaic Studies..
Masculinities Studies founders Harry Brod, Michael Kaufman and Michael Kimmel, this historic two-day summit started with a historic founders dialogue and continued with a community conversation and workshop series with community partners on how masculinity impacts our lives. 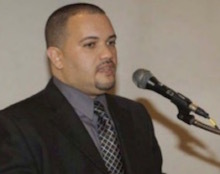 Juan Ramos of "A Call to Men", an anti-violence organization, discussed networking, skill-building and leadership training while on campus for the annual Student Leadership Conference. Co-sponsored by Cassandra Voss Center. Green Bay community members shared stories from the margins as “human books,” readers listened & engaged toward transformation. Robyn Davis, President of Freedom House Ministries, talked about connecting Greater Green Bay women leaders and SNC female students to yak: talk and learn from one another. 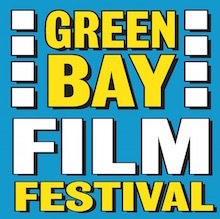 A regional film festival held at St. Norbert College. The Cassandra Voss Center sponsored a special advanced screening that featured two short films "Solitary" and "If I Retaliate" followed by a panel of experts. 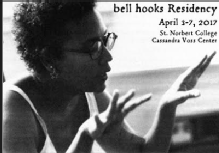 Social justice scholar and writer of over 40 books, bell hooks returned for her final visit in a four-year historic residency series with SNC's Cassandra Voss Center, sister center to the bell hooks Institute at Berea College. 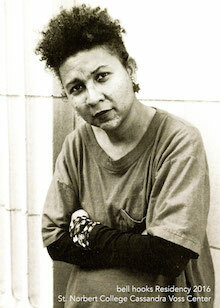 hooks spoke about identity, loveand spirituality. She also discussed her dialogues with artists, scholars and writers. 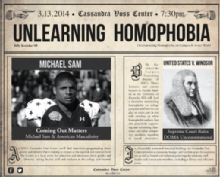 Michele Weldon, Ph.D, in a returned seminar hosted by the Cassandra Voss Center. We're obsessed with funny. Clips, tweets, vines, books, snaps, meme - all going viral. But how do we think about humor, its limits, and its power? Do we see comedy and joy working in the midst of violence or revolution? Who resists, laughs, and survives in the face of injustice? 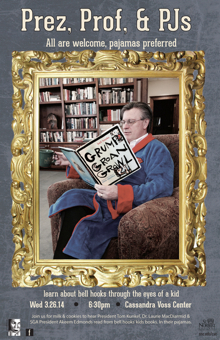 Yearlong programs explore comedians, creators, tricksters, and outlaws as models of gumption, hilarity, resilience. We’re obsessed with funny. 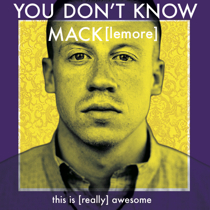 Clips, tweets, vines, books, snaps, memes-- all going viral. But how do we think about humor, its limits, and its power? 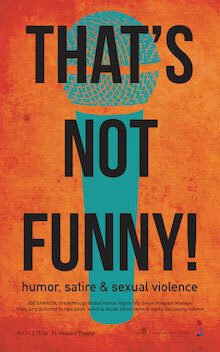 Do we see comedy and joy working in the midst of violence or revolution? Who resists, laughs, and survives in the face of injustice? This yearlong programs explored comedians, creators, tricksters and outlaws as models of gumption, hilarity, resilience. 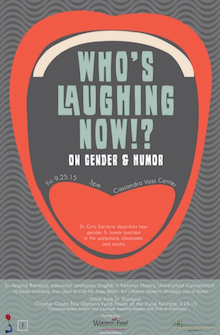 Disarming injustice with humor and joy. 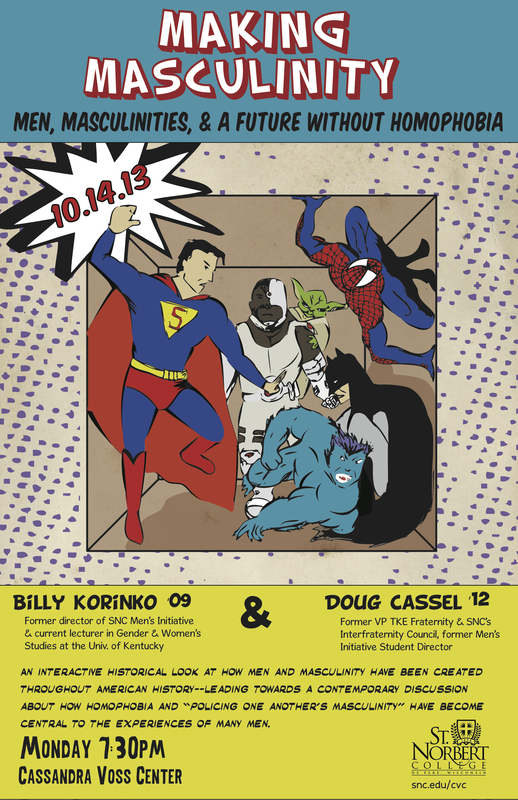 Benefit concert that featured Street Corner Symphony. Featured Beck Krefting & Micia Mosely, Ph.D. 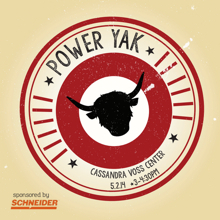 Check out past Power Yak's here. 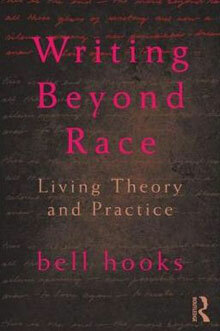 Featured bell hooks in dialogue with Parker J. Palmer and Hari Kondabolu. 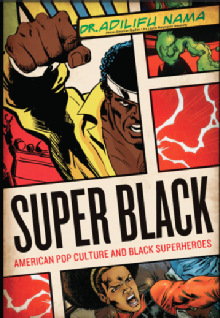 Yearlong programs focusing on heroes, power, comics, and identity. Kapow! Wonder Woman. Batman. Storm. Hulk. 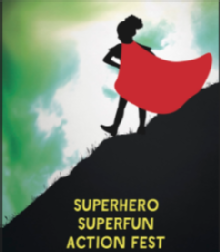 Amidst capes, masks, and spandex unfold epic tales of our heroes and their stories. 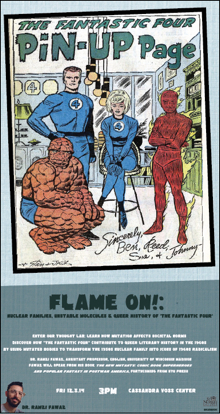 Through the lens of fantastical identity narratives, superheroes and comics provide a vehicle to talk about gender, race, sexuality, and class. These heroes are poised to speak. Who's your hero? Speed networking with Green Bay women leaders & SNC women students in STEM. Featured community members as "books." Don't Judge a Book by its Cover! 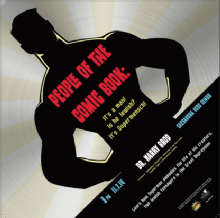 “People of the Comic Book”: It’s a Man! Is He Jewish? 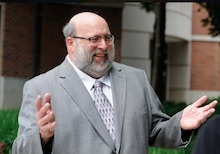 It’s Supermensch! 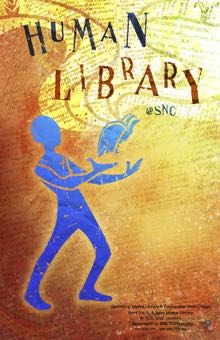 Took place during SNC Day. 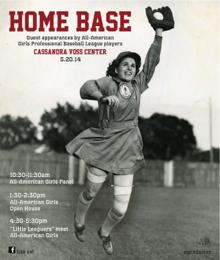 The Cassandra Voss partnered with the Sport & Society Conference at St. Norbert College bring players from the All-American Girls Professional Baseball League visited campus. Keynote by Celestine Jeffreys, Networking Facilitated by CVC staff. 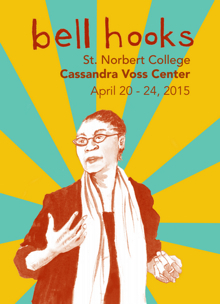 In its inaugural year, the Cassandra Voss Center presented programs that celebrate bell hooks, the prolific scholar, social justice advocate, feminist and canonical writer, culminating with her visit to St. Norbert College. "Fear of Black Bodies and the Problem of Whiteness"
Talk by St. Norbert alum, Billy Korinko '09. Book discussion led by St. Norbert alum, Billy Korinko ’09. This series included a book discussion with pizza and a public talk. 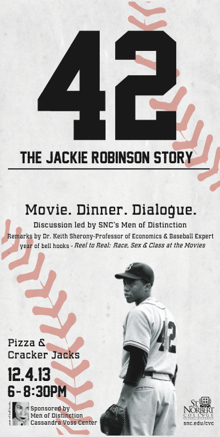 Reel to Real: "42: The Jackie Robinson Story"
A movie screening, discussion and treats. 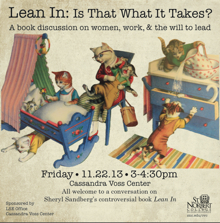 Nov. 22, 2013 Lean In: Is that what it takes? An analysis. A contest. A response. 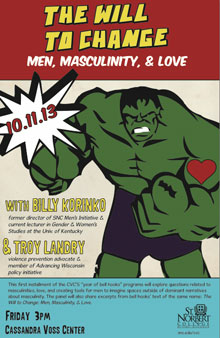 Event related to men, masculinity and love. 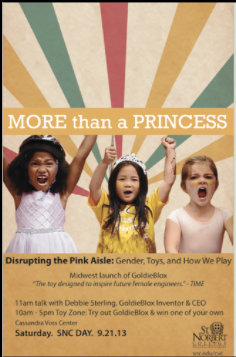 The Midwest launch of GoldieBlox with a talk by GoldieBlox CEO, Debbie Sterling. 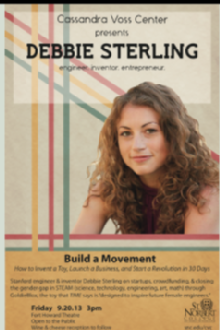 A talk with GoldieBlox CEO, Debbie Sterling.